No matter what your opinion of The Avengers: Age of Ultron might be, there’s no question that Iron Man’s Hulkbuster armor is spectacular. 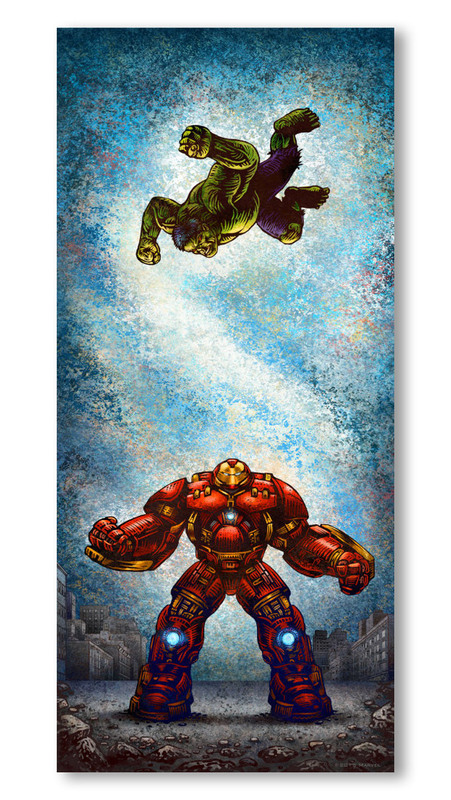 Artist Chet Phillips pays tribute to the battle between a grumpier than normal Bruce Banner and Tony Stark in his jumbo-sized exosuit for his regular-sized exosuit with this print, appropriately titled Smash. The giclee print measures in at appx. 12″(W) x 24″(H), and Chet is selling them in a limited edition of just 50 prints over at Hero Complex Gallery for just $35(USD). If you want one for your wall, you’d better head over there before they sell out.